Home Features Fashion Tech What are Fashion Trend Forecasting Agencies? Fashion Trend Forecasting agencies’ foresight into future trends is not limited to predicting the colours and materials that will be popular over the next two years. Forecasters also delve into the lifestyles and buying habits of your brands’ consumer to gain insight into their present values and future desires. Let’s take a look at the what these agencies do and why they are important. What is Fashion Trend Forecasting? Fashion forecasting is the technique of predicting buying habits and moods of the consumers. It includes the prediction or forecasting of colours, fabrics, textures, and various other styles that are going to be presented on the runway and will be in the stores for the upcoming seasons. What are the Types of Fashion Forecasting? Short-term: This is used by merchandisers, production managers or products developers to generate style directions and to shape collections. Most apparel companies these days subscribe to the services which easily provides them with reports of developments in colour, textiles, and various style directions. Long-term: Long-term forecasting is usually done for upcoming two or more years. This kind of forecasting is generally used by executives for corporate planning, and by marketing, managers to position their products in the marketplace while observing the competition. “Fashion trend forecasting is not an art or science in the conventional sense, but it does combine a unique technique called Cultural Triangulation, which is a simple and effective three-pronged process that enables trend forecasters to work out where trends are now, so that we can map out the path into the future for brands, retailers and corporations. It involves joining-the-dots between intuition, observation and interrogation. You analyse and infer data from all research activities into trend hypotheses, and from there we begin to articulate the drivers, consequences and impact of key trends that you predict will happen in the future”, says Terna Jibo, a Freelance Trends Forecaster. Fashion trend forecasting agencies are the “archaeologists of the future” according to Li Edelkoort, the owner of fashion trend forecasting agency Trend Tablet of late Trend Union. The agencies primarily act as a medium that forecasts colours and trends, in advance of the current season. 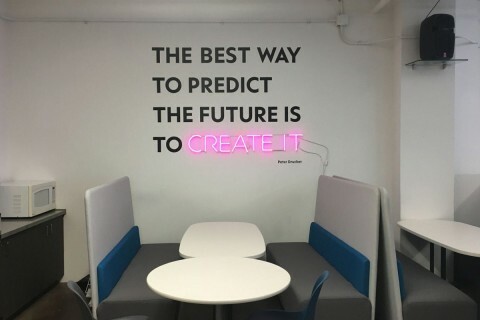 Their teams look further into the future via consumer trend research and trend- spotting as a result, they predict fabrics, colourways and fashion trends. These in turn act as a guideline for manufacturers to develop new ranges and ideas. Another ‘future narrator’ is Anne Lise Kjaer of ideas and trend management consultancy Kjaer Global services the sports, middle and luxury sectors with clients such as Dunhill, La Perla and Swarovski. Scenario writing – Most business start-ups, since they don’t have an established track record to present to funders and potential partners often use this technique to gather financial projections covering best, likely and worst-case income and expense scenarios. What are the Various Trend Forecasting Techniques? There are four basic fashion trend forecasting techniques, which are used to help companies plan for the future. Three of these are based on quantitative, measurable and historical data, which is given more credence by analysts and potential investors. The other one is based on subjective criteria and often amounts to conjecture and wishful thinking. The Delphi technique, developed in the 60’s by the RAND Corporation, focuses on the use of a questionnaire method. A group of industry experts are separated and asked to fill in a questionnaire the results of which are used to formulate a second questionnaire that is presented to the group. They are then asked to re-evaluate their responses to the first questionnaire. This continues until the researchers have a narrow range of opinions. The subjective approach of fashion trend forecasting employs brainstorming sessions to generate ideas casually and free from criticism and peer pressure. This method and the one used by the majority of forecasting agencies measures data gathered over time to identify trends. Data may be taken over intervals of hours, days, weeks, months and years. A trend, cyclical, seasonal and irregular components make up the time series. Scenario writing requires the forecaster to generate various outcomes based on different starting criteria. Later the decision-maker chooses the most likely outcome from the various scenarios showcased. This technique typically produces best, worst and middle options. Most business start-ups, since they don’t have an established track record to present to funders and potential partners often use this technique to gather financial projections covering best, likely and worst-case income and expense scenarios. While using subjective forecasting method, forecasters’ needs to predict outcomes based on their subjective thoughts and feelings. Subjective forecasting requires brainstorming sessions to produce ideas and at the same time-solving problems casually. One has to be free from criticism and peer pressure while using this approach. These sessions usually take place when time constraints prohibit objective forecasts. This technique is subject to biases and required to be viewed sceptically by decision-makers. In the past, it was easy to predict the trends of the moment. Fashion forecasters would make their way to the bi-yearly catwalk shows. They would then wait to spot the most important looks designed by the fashion houses whose job was to set the agenda when they unveiled their collections. The forecasters decided which garments would cause the biggest impact in their target markets. This information was collated into fashion trend forecasting reports, which were then sold on to their clients, the chain and department stores. This was the old-fashioned way the stores ‘designed’ their collections. Magazines were used to relay the catwalk images to the public and eighteen months later the retail versions of catwalk designs would be revealed on the streets. Since the arrival of the internet, things have now changed and fashion trend forecasting has become a more democratic affair. The traditional lofty trend forecasters have been replaced by a plethora of influencers on Instagram and broadcasters on YouTube, who all relay information via their gadget of choice, the humble mobile phone. The idea that trends could only be extracted from the catwalk shows is an archaic way of thinking. The consumer consumption rate for new products, what’s occurring online and the interest in trends on the street has directed the influence away from the fashion show. The extraction of information from one source has been turned on its head and lead to the distilling of mindsets and lifestyles into marketable concepts. In light of a changing landscape where ‘untrained fashion trend forecasting specialists’, AKA influencers, are stalked by brands and editors for the latest look, are trend forecasting agencies really necessary? Do companies really need to be told, through an expensive report, what to design for their customers and do these agencies really create future trends for their clients or just identify the obvious? Perhaps they feel confident enough about their product to go with their feelings and rely on validation from their customer base. The larger brands are perhaps too busy building their empires and do require help in identifying the trends of tomorrow. Some companies, such as Zara and Urban Outfitters, employ an in-house team to oversee their fashion trend forecasting, usually called the vertically integrated model. They tend to use short-term forecasting as their product turnover is much faster than that from a slower-moving retailer. Short-term forecasting focusses on domestic and international current events. Pop culture plays a big part in determining what is currently fashionable, along with current events, art, sport, science and technology. While the bigger brands may not have similar flexibility as the smaller enterprises, they do have big budgets to employ an agency. WGSN – insights are used to create fabrics that need to be manufactured at least two years before any garments are produced. Fashion students are able to use the WGSN service for free for the duration of their studies. There are many fashion trend forecasting agencies in the fashion field but the largest one, WGSN (Worth Global Style Network) founded by brothers Marc and Julian Worth in 1998, is most famous for its fashion trend forecasting. Years ago, when I had launched a new concept in maternity wear, I was asked to consult for them in predicting the future trends of the maternity wear market. My remit was to study what was already on the market in regards to silhouettes and the technical aspects for ‘bump’ accommodation. As I had already researched this area for my own maternity collection, my job was to take the developments even further. WGSN takes the long-term approach to forecast for their clients. Area demographics both urban and suburban are studied and how they impact on consumers due to the economy, the political system, the environment and culture. Forecasters at WGSN try to identify the major changes in International and domestic demographics, shifts in the industry, market structures, consumer expectations values and buying impulses, new developments in tech and science and changes in economic, political and cultural alliances between certain countries. As well as an ability to forecast future colours and trends their materials and textile teams look even further ahead. Their insights are used to create fabrics that need to be manufactured at least two years before any garments are produced. Fashion students are able to use the WGSN service for free for the duration of their studies. After selling WGSN to Emap in 2005 for £140 Million, Marc Worth quickly saw the opportunity in a cross-industry approach to trend forecasting and launched Stylus in 2009. Stylus is an innovative research and advisory firm helping businesses process global consumer lifestyle, product and engagement insights, stimulating innovation and growth. Trendstop, which services the high-street market, and their blog offers a selection of services for future trend predictions. These include materials and textures, catwalk analysis, global street style and global retail trends, to name a few. Their clients include H & M, Forever 21 and Next and their prices start at £1,800. There are many places one can visit to get inspired for trend forecastings such as various music festivals and fashion weeks. In addition, there are certain teen shows and celebrities one can always keep an eye on and follow on social media to stay aware of the trends. Fairs such as Premiere Vision (the bi-yearly fair) unveil the latest fabrics in a large exhibition arena in Paris. Spread out over 6 halls it’s the perfect place for a budding designer to experience trend forecasting. Within each hall are fashion trend forecasting sections that display fabric samples from the exhibitors. Apart from this, a regular talk takes place here about the future trends in colour, fabric and textiles. Related Article: Here’s everything you need to know about the sample making process. In our fast-paced society, it’s inevitable that we as consumers of fashion will be interested in what the future has to offer us. 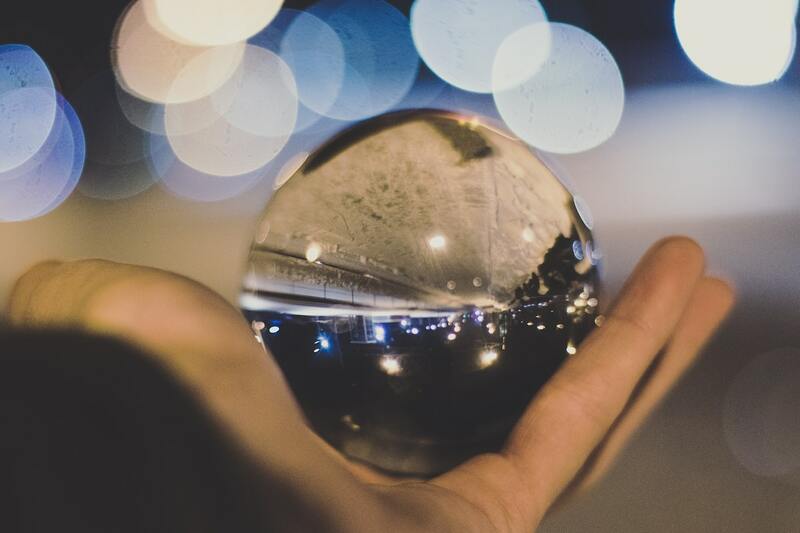 Brands as equally obsessed with the crystal ball mentally, and in order to stay relevant, have to stay even further ahead of the playing field and predict what their customer’s needs are. The larger, established brands can afford to secure the services of a fashion trend forecasting agency but the start-ups have to rely on instinct, social media and visiting the latest art shows, events and talks. Trend-forecasting is also a great tool for those manufacturers or brands who can’t make it to international fairs and for the retail garment companies which have more to lose than individual fashion designers if they ignore international trends. If you have any questions about this article or general feedback then please leave it in the comments below.